Hallmark first partnered with UNICEF in 2006. Since the beginning of Hallmark’s partnership with UNICEF, the US Fund for UNICEF has received more than $18 million in royalty payments from sale of UNICEF cards and gifts. Hallmark first aligned itself with Susan G. Komen for the Cure® in 1999. Since its inception, Hallmark has raised more than $3.5 million in donations from consumers’ purchases for the Susan G. Komen for the Cure foundation. The US Fund for UNICEF receives 15 percent of every net wholesale shipment of UNICEF products. The United Nations Children’s Fund (UNICEF) works in more than 190 countries and territories to save and protect the world’s most vulnerable children by providing health care and immunizations, safe water, sanitation, nutrition, education, emergency relief and more. 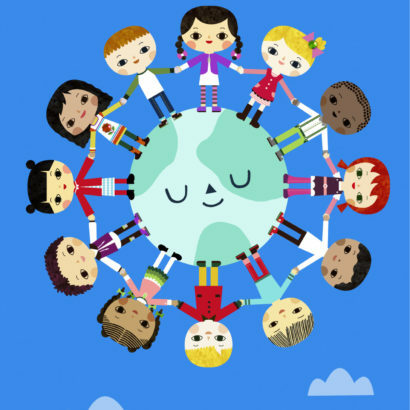 Hallmark’s UNICEF cards feature globally inspired, sophisticated designs paired with short, meaningful messages. Some cards include beads, jewels, buttons, cording and stitching to give a handcrafted feel with surprising inside color and insert pages. The back of each card includes a statement that summarizes UNICEF’s mission, plus information letting consumers know how their card purchases help UNICEF help children around the world. Hallmark chose to support breast cancer research, education, screening and treatment programs, because it is an issue that affects its customers as well as the owners and employees of Hallmark Gold Crown® stores located across the country.